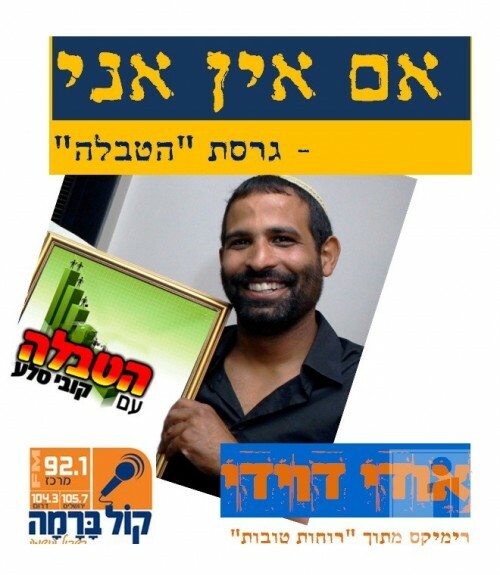 PR radio man,Kobi Selawas very busy over succos withAmiran Ben Lulu in radio Kol Berama . One of the most prominent broadcasted songs is “Im Ein Ani Li” by Udi Davidi got some mushc attention that they decided to do something special for their listeners. We are not saying that this re-mix is better than the original, rather a new way of hearing the song and giving it new life. “Hatvala” airs every Thursday between four and six o’clock on radioKol Berama. This renewed musical production was made for the show “Hatvala” by Udi Turgeon & Lior Shoshan of BCO Music studios in Ramat Gan.